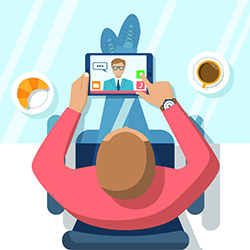 It’s easy to understand the impact real-time video chat can have on customer acquisition and satisfaction. A company representative (customer service, sales, etc.) engages with a prospect on a company website or mobile app, guiding them to a successful customer response (issue resolution, conversion, etc.). In fact, LivePerson’s Connecting with Consumers report indicates that 83% of online shoppers need some form of support during their online journey. And reports consistently indicate that consumers want answers to their questions quickly – usually within 5 minutes – or they will go elsewhere to find them. 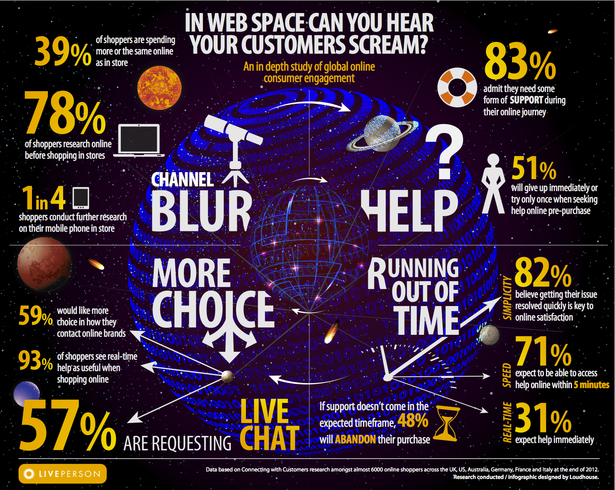 By enriching the customer experience with live voice, video chat, and co-browsing, you can delight your customers quickly with strong business impact. 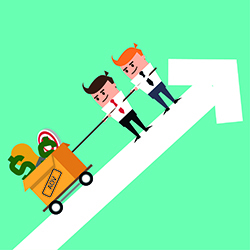 Vee24 customers experience 5-10x lift on conversion with assisted sessions and significant increases in average order value by delivering an exceptional online experience. But what about other ways live video chat can impact your business? 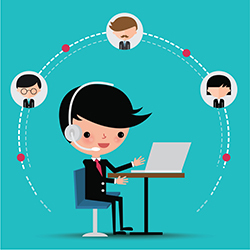 Here are other reasons that video chat can bolster your business. Live video chat mitigates the communication gap caused by accents and geography by augmenting voice input with body language signals. No matter where your call center is located, chances are they are not in the callers back yard. Even relatively small geographical separation can change tone and pace of a shared language. Consider for example that there are more than 20 different dialects in the United States alone. Research shows that differences in accent have significant impact on the way communication is interpreted. When we have difficulty understanding someone we lose confidence in what they are saying and we are less likely to trust the information they are imparting. Video chat transcends these issues better than other online solutions. We don’t need to tell you – shoppers are moving online. But what you might not realize is that e-commerce doesn’t have to mean low margin sales. To maximize profitability, many luxury brands rely on differentiating their offerings with exceptional customer service. Digital shopping doesn’t have to mean the end to that luxury experience. Live video chat brings your team into shoppers’ living rooms and offices to fulfill that one-on-one customer service experience. Luxury brands rely on white glove experiences, personal shoppers, or exclusive concierge services to make their customers feel unique and pampered—all of which can be replicated online through a live video chat engagement. 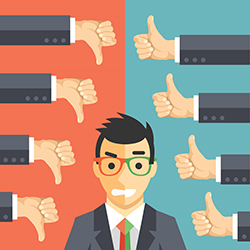 Zendesk research shows that on average 12% of contact center calls are complaints. When you consider that 89% of consumers begin doing business with a competitor after a poor service experience, it’s critical you consider these interactions as essential to build loyalty. Someone who starts off yelling can more easily be disarmed when there is more than a voice or chat on the other end of the communication. Looking someone in the eye via live video chat can create empathy. Business Consultant Damon Richards sums this up well – “Your customer doesn’t care how much you know until they know how much you care.” Live video chat gives you the best opportunity to express this care and empathy. Contrary to popular belief, millennial shoppers aren’t the only demographic to engage new digital technologies. 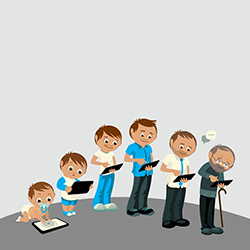 Consumers of all ages crave human interaction even when shopping from their mobile device or computer. This is particularly helpful for novice shoppers who are just starting their digital shopping experience. The extra hand holding that live video assistance provides is highly valued. In their annual survey of online shoppers, UPS found the largest growing segment was not young shoppers – “Non-millennials made 49% of their purchases online, according to the survey, compared with 44% in 2014”. Live chat lets you meet these online newcomers exactly where they might be encountering issues, aiding in conversion with a positive brand experience. It’s much harder to say no to that smiling agent you’re bonding with than the anonymous voice on the other end of the phone. Footwear retailer, Schuh was using video chat only for customer service but quickly realized that their agents were taking orders. They pivoted strategy, provided sales training for their call center, and now use video chat as a revenue-generating channel. They now offer video chat in 20+ different emails/social media campaigns and it has turned into their 8th largest and most profitable ‘store’. Read more about Schuh’s live video strategy and outcomes. What successes have you had with video chat? Any surprises you’d like to share?